FREDERICK, MD- The Wilmington Blue Rocks (7-8) defeated the Frederick Keys (6-10) 2-0 on Friday night at Nymeo Field. The Keys went 0-for-6 with runners in scoring position, as they dropped their fifth straight game. The Blue Rocks scored their first run in the third inning. D.J. Burt drew a one-out walk and stole second base. Following a strike out, Burt advanced on a wild pitch and scored on an Emmanuel Rivera single. The score remained 1-0 until the seventh. Nick Heath walked, and John Brontsema singled. Rudy Martin then tried to sacrifice both runners over, but reached on a bunt single and advanced to second on a throwing error by Jhon Peluffo that allowed Heath to score. Frederick threatened in the seventh, but stranded the bases loaded. Chris Clare , Ryan McKenna , and Cole Billingsley all walked. Grant Gavin got out of the jam by striking out Preston Palmeiro , and the Blue Rocks held the 2-0 lead. In the ninth, Clare reached on an error, and advanced to second when McKenna walked. With two outs, the threat was ended as Billingsley flied out to left field to end the ballgame. Arnaldo Hernandez (1-0) picked up the win for Wilmington. 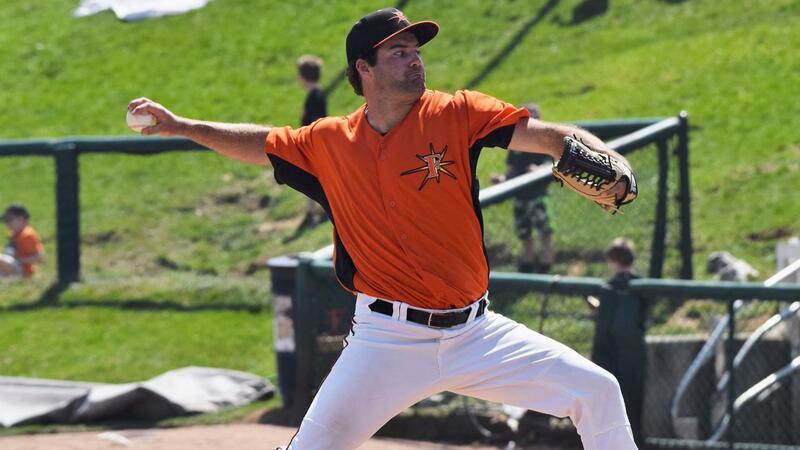 He tossed six scoreless innings, scattering four hits while walking two and striking out two. Lucas Humpal (0-3) took the loss despite allowing just one run over five innings. The right-hander struck out six and walked two while surrendering five hits. Bryan Brickhouse picked up his third save of the year by pitching a scoreless ninth. Frederick and Wilmington continue their series on Saturday afternoon. Brian Gonzalez (0-1, 2.53) gets the start for the Keys. He will be opposed by Blue Rocks starter Cristian Castillo (1-1, 3.52). First pitch is scheduled for 2:00 p.m., and the broadcast can be heard on frederickkeys.com and the TuneIn radio app. For ticket information, fans can call 301-815-9939 or visit frederickkeys.com.